Tagged as 473ml (16oz), 909ml (32oz), concentrate, fruit & vegetable wash, Magical Saving Multipacks, veggie wash.
Are you still rinsing with water alone? 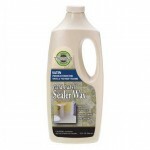 Veggie WashÂ® safely and effectively removes wax, soil and agricultural chemicals found on standard and organic produce. 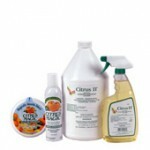 It cuts through the wax and chemicals to leave fruits and vegetables truly, safely clean. Veggie WashÂ® is 100% natural, using ingredients from citrus, corn and coconut to remove harmful substances. Concentrated Formula! With our concentrated formula make eight (8) 16oz bottles of Veggie Wash.
Veggie WashÂ® safely and effectively removes wax, soil and agricultural chemicals found on standard and organic produce. It cuts through the wax and chemicals to leave fruits and vegetables truly, safely clean. 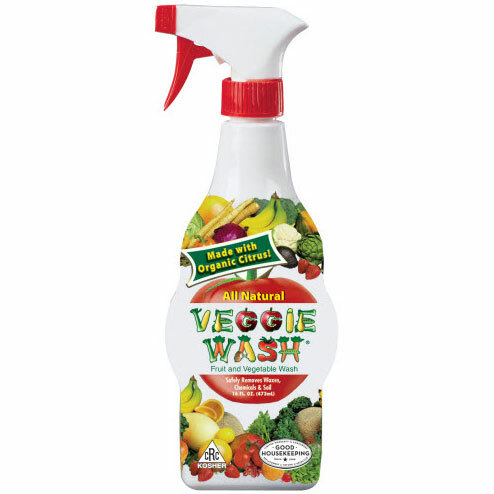 Veggie WashÂ® is all natural, using ingredients from citrus, corn and coconut to remove harmful substances.